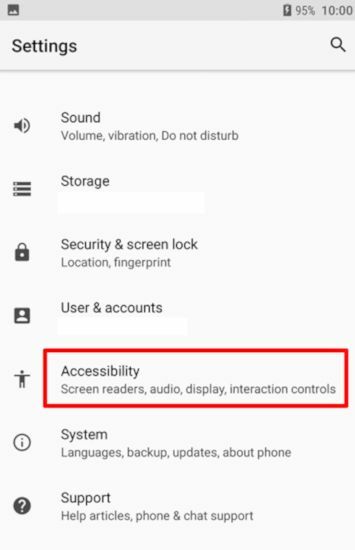 One of the most important features for disable person, it will help to read any information at the screen as informative as possible. This TalkBack feature is available at Accessibility menu. Please follow these steps to make TalkBack work at our Android and of course we also have to know how to Stop TalkBack at our Android as well. Because many people do not have idea how to easily stop the TalkBack Accessibility feature. How to Turn ON (Enable) Talkback at Android ? TalkBack will work immediately after activating. We will head sound when we press any positions at the screen. Important note, TalkBack still remain active or enable although we restart / reboot our Android smartphone. If we want to disable TalkBack then please follow the steps to Turn Off TalkBack easily bellow. How to Turn OFF (Disable) Talkback at Android? We will not hear any TalkBack voice anymore. Please note: Some menu will not 100% appear like what written above, because some brand and version will have their own locations to activate or disable TalkBack.